The capital and second-largest city in Ecuador, Quito sits high in the Andes with an elevation of 9,300 ft/2,835 m. Not so long ago, Quito had a rough reputation as a deteriorating city with crime problems, but a concerted effort to revitalize the city, restore historical buildings, clean up the bus system and make the city more tourist-friendly has paid off, and Quito is well worth the trip. 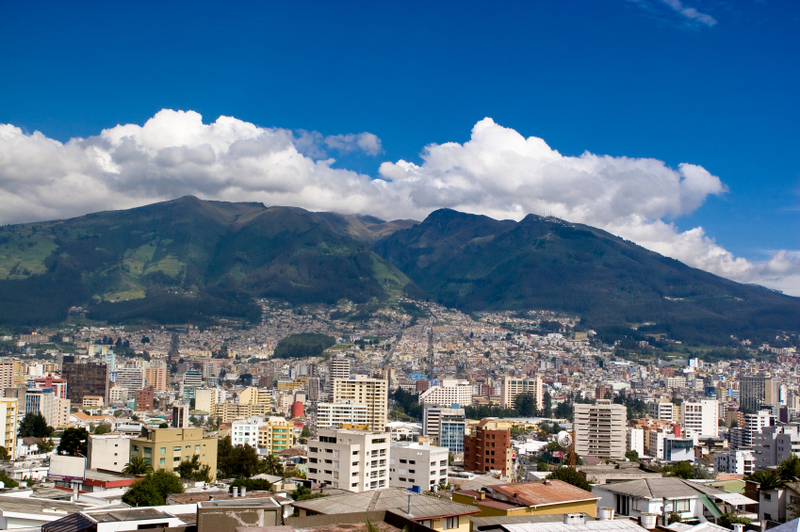 Because of its elevation, Quito has a pleasant, moderate climate despite being just south of the equator. The first thing you will notice about Quito is the mountains that surround the city, including the active volcano Mount Pichincha to the west of the city—its last eruption was in 1999. The next thing you will notice is the air pollution, which is held in place by those mountains (Quito occupies a long, narrow valley). Quito is Ecuador's principal transportation hub, and although efforts are being made to improve air quality, it remains bad. If you just dive into the haze, however, you'll find sights that make it all worthwhile.